Prime Minister Narendra Modi to addresses a rally in Akluj in Madha Lok Sabha constituency of Solapur district. Lok Sabha elections: PM Modi addresses a rally in Madha Lok Sabha constituency of Solapur district. 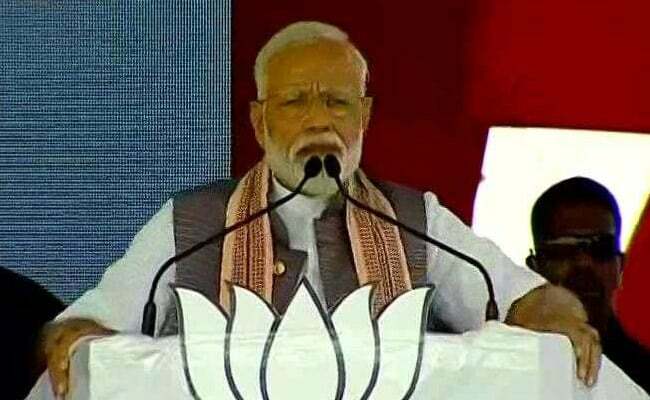 Hitting out at Congress, Prime Minister Narendra Modi, in an election rally in Maharashtra said, those sitting in Delhi in AC rooms and keeping a tab on things which will happen after who hugs whom, after who shakes hands with whom, after who looks at whom, they don't know the ground reality. Meanwhile, Congress President Rahul Gandhi offered prayers and performed rituals for his late family members as well as victims of the Pulwama terror attack at Thirunelli temple today. Mr Gandhi, who is contesting the ensuing polls from Wayanad parliamentary constituency, was accompanied by Congress General Secretary KC Venugopal, among others. The Congress president is scheduled to address rallies in Kerala's Alappuzha and Thiruvananthapuram later in the day. Mr Gandhi had filed his nomination from Wayanad Lok Sabha seat on April 4. He was accompanied by his sister and party general secretary Priyanka Gandhi Vadra. The state party unit had requested Mr Gandhi to contest from Wayanad Lok Sabha constituency, which fell vacant following the death of Kerala Pradesh Congress Committee (KPCC) working president M I Shanavas last year. Polling in Kerala will be held in a single phase on April 23. Counting of votes will take place on May 23. The Congress today landed in a huge controversy after its senior leader Ashok Gehlot said Ram Nath Kovind was made the President of India because of caste considerations. The BJP called the comment "anti-Dalit, anti-poor and anti-constitutional" and demanded an apology and strong action. BJP president Amit Shah hits out at Chief Minister Mamata Banerjee and tweeted, "Finally, Mamata didi's trusted lieutenant accepts that her party believes in the idea of violence and anarchy. But I want to remind Mamata Didi that such destruction of democracy won't last long. People of Bengal will vote out TMC at the hustings. Her time is up!" A Chhattisgarh minister is on camera telling voters they will feel an "electric shock" if they press any button other than that for the Congress candidate on the Electronic Voting Machine (EVM). The minister, Kawasi Lakhma, has been issued a notice by the Election Commission. The five-time lawmaker is Chhattisgarh's excise, commerce and industries minister. BJP people are also saying they will win 50 out of 42 seats as they don't even know how many seats are there. Let them dream, people of Bengal are with Mamata Banerjee and TMC. May 23 we'll see where these people hide, said Trinamool Leader Derek O'Brien. 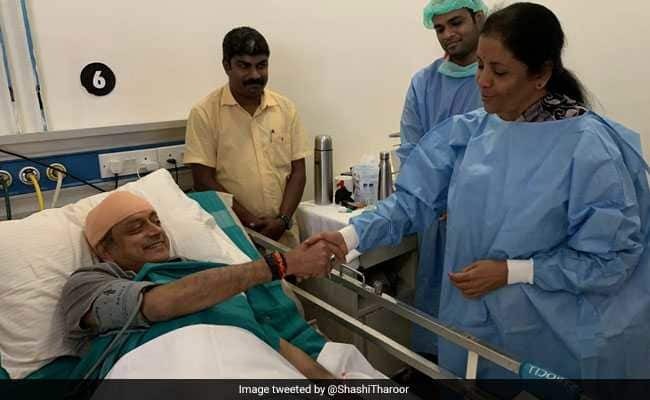 NCP Chief Sharad Pawar: How will PM Modi know how to run a family? That's why he peeps in others' homes. The UPA government gave only 1 lakh 15 thousand crore rupees for the development of Maharashtra under the 13th Finance Commission. When you made PM Modi, four lakh 38 thousand 760 crore rupees were given under the 14th Finance Commission for the development of Maharashtra. For ten years, the UPA government was in the country, for its vote bank, they had also put the security of the country on the lookout. In the country, the terrorists came and cut the heads of the Jawans, but the government did not do anything like that. In the first world, there were two countries that retaliated the blood of their jawans, one in the United States and the other Israel. The Narendra Modi government has decided to register the third name in the list of these countries, says Amit Shah. East, west, north, south I visited the country everywhere, Modi-Modi was heard everywhere. It is the public's resolve that ' once again the Modi government ': Shri Amit Shah. Rahul Baba remembers the poor today, Sharad Pawar ruled so many years, five to five generations, the Gandhi family ruled the country but they did nothing for the poor. Maharashtra has been developed by the BJP government. Maharashtra was lagging behind in every sector under the Congress-NCP regime. The BJP and Shiv Sena government have again worked to revive Maharashtra. I am very happy.... Together we will work to defeat forces working against the interest of the country. 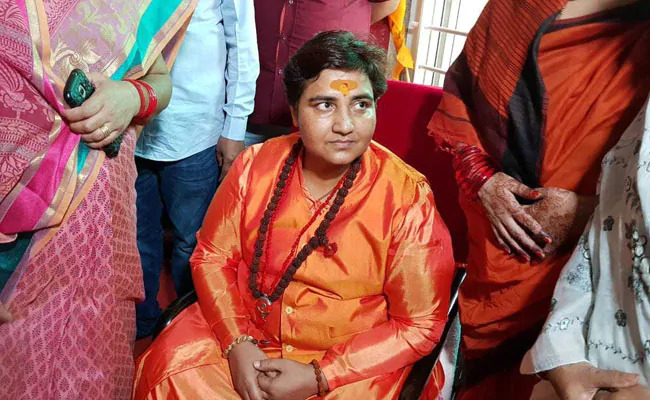 We will defeat those who conspire against India, says Sadhvi Pragya Singh. Bihar Deputy Chief Minister Sushil Modi: When CBI went to Supreme Court, Lalu Prasad Yadav sent his messenger Prem Gupta to Arun Jaitley, asking to not let CBI appeal to the SC in the case. He said that if they get help '24 ghante mein Nitish Kumar ka ilaaj kar dunga'. Later Mr Yadav and Prem Gupta, both met Arun Jaitley and offered to topple Nitish Kumar government. Arun Jaitley clearly said that we can't interfere in CBI's functioning as it is an autonomous institution. When Jharkhand High Court gave the verdict in favour of Lalu Yadav that there is no need for a trial in other cases related to fodder scam, CBI went to Supreme Court challenging this decision. Congress President Rahul Gandhi in Wayanad, Kerala: I've not come here as a politician who is going to tell you what to do or what I think. I'm not here to tell you my 'Mann ki baat', I'm here to understand what is inside your heart, your soul. Congress president Rahul Gandhi addresses public meeting in Wayanad, Kerala. For the last five years, we are fighting the ideology of Prime Minister Narendra Modi and RSS. And the thinking of their ideology is of one person should only rule, Mr Gandhi said. PM in Solapur, Maharashtra: Those sitting in Delhi in AC rooms and keeping a tab on things which will happen after who hugs whom, after who shakes hands with whom, after who looks at whom, they don't know the ground reality. Now I know why Sharad Rao ran away from the battleground. Congress General Secretary KC Venugopal on Rahul Gandhi's temple visit in Wayanad said, "Last time also he had wished to come here but because of security restrictions, he could not do it. Here is the place where the ashes of Rajiv Gandhi were immersed, in Papanasini river." Prime Minister Narendra Modi to address a rally in Akluj in Madha Lok Sabha constituency of Solapur district. PM Modi who will hold five rallies in Gujarat today and tomorrow will address rallies in Himatnagar, Surendranagar and Anand today. On April 18, he is scheduled to visit Amreli and Patna on April 21. Congress President Rahul Gandhi performs rituals, after offering prayers at the Thirunelli temple.